The Wolves barely — BARELY — escaped their home opener against a lottobound Magic team with a win. 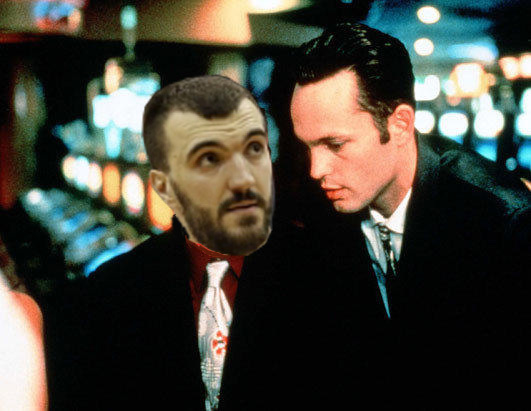 It took an out-of-timeout, set-play three-pointer from K-Love just to tie the game with 10 seconds left. Arron Afflalo missed a turnaround jumper for the win, and the home team took care of overtime. It was not a home-opening performance to feel great about for a team that has playoff aspirations for the first time in forever. But every win counts the same in the standings, whether it comes against Miami in March or Orlando in October. The Wolves will need more than 40 wins to sniff the playoffs, and they got one tonight. For some perspective, the all-time great Heat lost at Philly tonight, to a team with one of the least-talented rosters in NBA history. Anything can happen. So again, a win is a win. It’s a good result, even if not necessarily a good performance. There has been some debate recently about how the Wolves should round out the bottom end of their roster: Should it be be Jeffers or Brown? Does Hummel’s preseason performance merit a roster spot? Is A.J. Price necessary to keep on the roster, really, when you already have three other point guards? And just how strong is Othyeus “Yolomite” Jeffers’ pimp hand, really? We now have a better understanding of the Wolves’ takes on these issues. In their last televised game of the preseason, the playoff-hopeful Timberwolves easily defeated the blown-up and rebuilding Celtics. It’s difficult to glean much from a preseason game, and doubly so when the opponent is severely undermanned and the score differential stretches beyond 20 in the second half. Had the result been flipped and the Wolves were blown out, there would be reason for some panic; especially since Rick Adelman played his starters for almost as many minutes as they will log when the games count. But the game played out about like it should have — at least if you are a Wolves fan with some degree of optimism for this season — and the execution was just inconsistent enough to make certain conclusions difficult to come by. The pick-and-roll defense doesn’t look particularly good. The Wolves will not be “blitzing” ball screen this year the way that Miami and other more athletic teams will. With a more conservative approach, then, there shouldn’t be breakdowns leading to open baskets near the rim, or over-helping in ways that leave wide open shooters in the corners. Those things happened sometimes, in this game. But there were also positives on that end. Corey Brewer, while sometimes getting burned — including once on the wing so badly that Gerald Wallace walked in for a big dunk — was disruptively aggressive and parlayed some loose balls into transition offense. Nikola Pekovic continues to “wall up” (h/t Jim Pete) and play solid if not spectacular position help defense. I mean, they held their opponent to 89 points. The defense couldn’t have been too bad. My takeaway from this game — or my thought after watching it anyway — pertains to the team’s three-point shooting. Without digging into the gory details, you already know this was a weakness last year. The Wolves were the worst perimeter shooting team in the NBA by a wide margin. Tonight, they shot 25 threes, which is kind of a lot. They made 10 of them — good for 40-percent accuracy — which is very good. Kevin Martin, the roster’s offseason shot in the arm, converted an impressive 5 for 8 from downtown. Ricky Rubio and Alexey Shved, a pair of young guards in desperate need of better shooting efficiency, shot a combined 3 for 5 from three.